The new Medicare program is altering a year’s worth of payments to 14,959 skilled nursing facilities based on how often their residents ended up back in hospitals within 30 days of leaving. Hospitalizations of nursing home residents, while decreasing in recent years, remain a problem, with nearly 11 percent of patients in 2016 being sent to hospitals for conditions that might have been averted with better medical oversight. For-profit nursing homes, which make up two-thirds of the nation’s facilities, face deeper cuts on average than do nonprofit and government-owned homes, a Kaiser Health News analysis of the data found. Overall, 10,976 nursing homes will be penalized, 3,983 will get bonuses, and the remainder will not experience any change in payment, the KHN analysis found. Medicare is lowering payments to 12 of the 15 nursing homes run by Otterbein SeniorLife, an Ohio faith-based nonprofit. Pamela Richmond, Otterbein’s chief strategy officer, said most of its readmissions occurred with patients after they went home, not while they were in the facilities. Otterbein anticipates losing $99,000 over the year. “We’re super disappointed,” Richmond said about the penalties. She said Otterbein is starting to follow up with former patients or the home health agencies that send nurses and aides to their houses to care for them. If there are signs of trouble, Otterbein will try to arrange care or bring patients back to the nursing home if necessary. “This really puts the emphasis on us to go out and coordinate better care after they leave,” Richmond said. Congress created the Skilled Nursing Facility Value-Based Purchasing Program incentives in the 2014 Protecting Access to Medicare Act. In assigning bonuses and penalties, Medicare judged each facility’s performances in two ways: how its hospitalization rates in calendar year 2017 compared with other facilities and how much those rates changed from calendar year 2015. “Skilled facilities have been working toward this and knew it was coming,” said Nicole Fallon, vice president of health policy and integrated services at LeadingAge, an association of nonprofit providers of aging services. 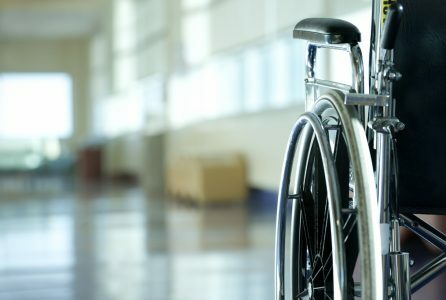 “It may end up causing great pain to residents who actually need to be hospitalized,” said Patricia McGinnis, executive director of California Advocates for Nursing Home Reform, which is based in San Francisco. Fallon said Medicare eventually may penalize homes that have done all they can to prevent return trips to the hospital. But because of the program’s design by Congress, Medicare still will need to punish large numbers of homes.